Year-to-date, there was 15,349 total units sold, a 14 percent drop comparatively year-over-year and 20 percent below the decade long average. This continues the downward market trend seen in October 2018. Challenges in the energy industry have taken their toll on consumer confidence this November. Combined with high unemployment rates and further increases in lending interest rates by the federal government, this has created a downward trend of ownership demand. New listings dropped seven percent in November 2018 compared to the year before. While new listings helped prevent more gains in inventory, the number of units on the market – at 6,501 – remain well above those seen the previous year – at 5,683. This is 32 percent higher than the typical amount of listings seen on the market during the month of November. 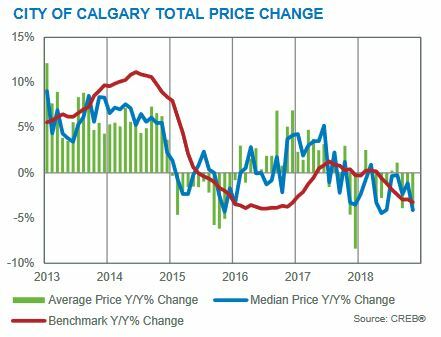 Weak sales and high inventories have resulted in benchmark price declines and a continued buyers’ market for Calgary’s residential sector. Affordable products such as low-priced condos and townhomes are all the hype in today’s market. Meanwhile, dropping benchmark prices have allowed some buyers to purchase a home which would have otherwise been unattainable a few years back. This also means that home sellers need to be aware of what’s selling in their community and for what price. This will help them to successfully sell their home in the challenging buyer’s market of today. Not sure if you should sell? Is it a good time to buy? These are important questions as a home buyer / seller looking to make a move in today’s market. The best thing you can do is to ask an experienced REALTOR®, one who knows your community and product well. This will help ensure you’re on track with your real estate goals and move towards a successful transaction! 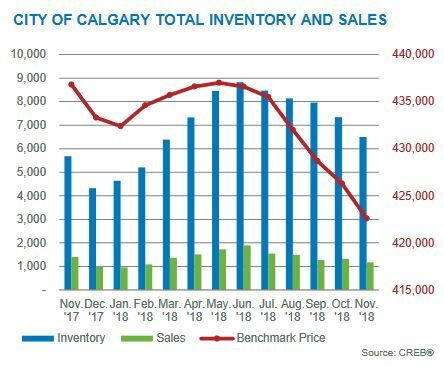 See our complete list of Calgary Residential Market Updates for month-to-month analysis today! Don’t settle for anything less than the best for your next transaction and contact an experienced REMAX Real Estate Agent and REALTOR® today! I will help guide you every step of the way through your next transaction while making sure you have all the information to make the best decisions. 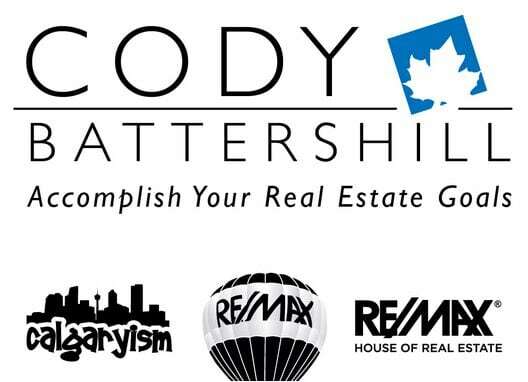 Call me direct at 403-370-4180 or send a message below and I’ll get back to you shortly, if not immediately. I am looking forward to helping you accomplish your real estate plans!